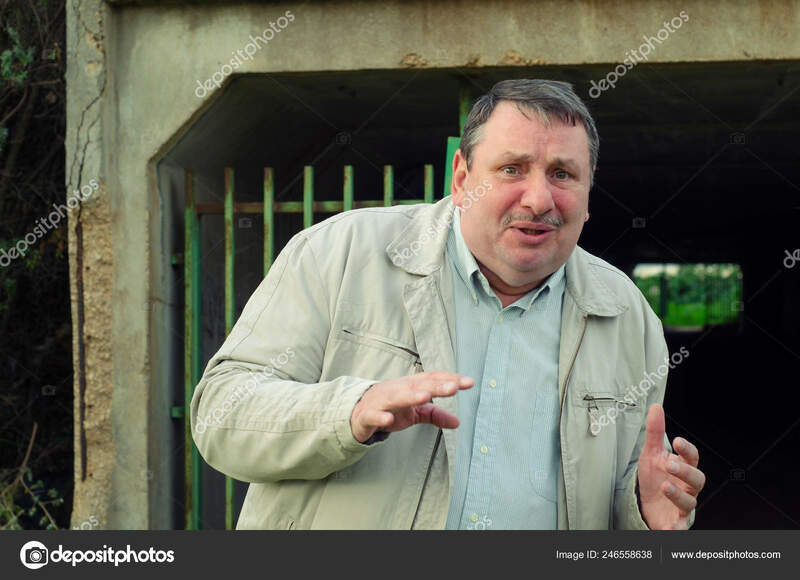 A mature man turned away from the open gate tunnel entrance. His face is red of perspiration. He is at the edge of suffocation.